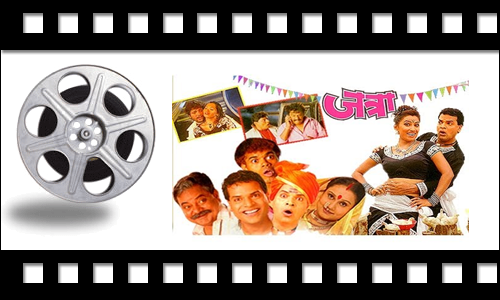 As promised, here's the second part of my post: Top 10 Marathi films you must watch. Once again, the post only has a few films (as of July 6 2012). With endless Marathi films making a mark, guess a third part should be on it's way. This 2006 film didn't create a stir at the Box-office, but I can watch this film a hundred times and never feel bored. The dialogues were simply hilarious. Bharat Jadhav as the con-businessman did a brilliant job. This movie was almost like a Marathi version of the Akshay Kumar - Shahid Kapoor starrer Deewane huye pagaal, but the humor in this film is unbeatable. Sunil Tawde has outdone himself. The situations in this film will make you laugh like crazy. Dialogues by Sachin Darekar are the soul of this film. I mean where would you get to hear stuff like "Aamhi Kohlapur la centrally Air-condition karnaar aahot." Music by Avdhoot gupte was good. If you are down and out or stressed, then make sure you grab a copy of this film and watch it! This 2010 film is a must watch for all those parents who believe that only good grades can assure a successful life for their child. Shrinivas Rane (Saksham Kulkarni) is very good at cricket, but never manages to score well in his exams. His father Madhukar Rane (gives me a whack or two everyday for not completing his homework or for not scoring well in exams. The father-son relationship deteriorates and one day, Madhukar does something so serious to Shree that their life changes within a second. This film is about Madhukar's struggle, who wants every parent to know that beating their kids and shouting at them everyday is of no use. He wants them to know that letting their child excel in what he/she likes is extremely important. Alas! Madhukar learns this very late. Performance wise, Both Bharat Jadhav and Saksham Kulkarni have done a brilliant job. The emotional and funny scenes are very well tackled. The supporting cast is also good. Mahesh Manjrekar made a serious attempt to reach out to all those parents who have been torturing their children for no reason. And the attempt was successful. How can I not add this film to my list? After all, This movie talks about the Beginnings of Cinema and That too, In a brilliant way! "Father of Cinema" in India, Dadasaheb Phalke accidentally stumbled across a tent theatre that was screening a silent motion picture. Thats when the idea of film making stuck him. Along with his hardworking family, He ventured into an area that was unknown to contemporary India. This movie traces the journey of Dadasaheb Phalke & The making of the 1st Indian feature film "Raja Harishchandra". Nandu Madhav has essayed the role of Dadasaheb Phalke brilliantly. The kids are super cute & Vibhavri as Phalke's wife is charming. The direction (By Paresh Mokashi) is bang on. Its a flawless film. Not to forget, Nitin chandrakant Desai's beautiful art direction adds more charm to the film. A must watch for all Cinema lovers & those who are studying the History of Cinema. This movie can be described as a "Cinematic Masterstroke. 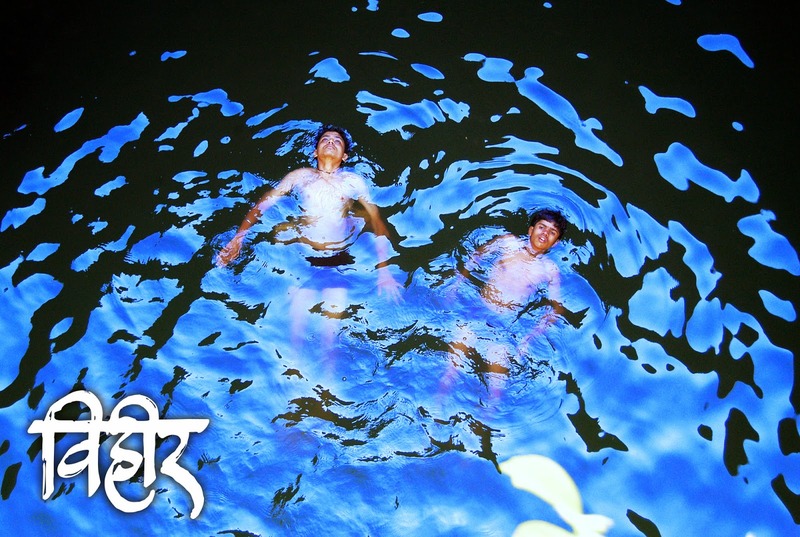 "Movies like Vihir and Shwaas added a new dimension to the Marathi film industry. Its a story of two adolescent boys, Sameer and Nachiket (cousins who are best friends) standing on the cross roads of life. They need to choose between the life that leads to a petty worldly small existence or the life of free existence that would let them spread their wings and soar high in open skies.The boys play a game of hide and seek in a rather unusual way. Where one cousin hides in death. And the other is looking for him in the life around him. Samir's search leads him towards the experience of oneness where he can unite with Nachiket again. The movie is not just a source of entertainment, its an experience. The story and screenplay (Girish Kulkarni, Sati Bhave) is so well written. I think this movie is a must for all those folks out there who love watching films that make them feel blessed. It is a delight for every film lover! This one is a winner in every sense! It has all that a typical movie buff would want, Action, Masala, Emotions, Comedy. It took Maharashtra by storm. For more than a year, The tagline "Garv aahe mala Maharashtriya aslaycha" was a huge hit. This movie walked away with all the awards in the Marathi films category in 2009. Mi Shivaji Raje Bhosale Boltoy is about a simple man, Dinkar Bhosale (Sachin Khedekar) who is frustrated with the way Maharashtrians are treated everywhere. Even at home, his daughter wants to do away with the "Bhosale" surname, his son is annoyed with him as he does want to give in to corruption just to get admission in a reputed college, his wife does not like the way he saves money. His frustration brings Chhatrapati Shivaji Maharaj to life, who does not like the fact that he has given up so easily. That's when the real drama starts & Mr.Bhosale stands up against all the illegal activities in Mumbai & reaches out to all the Maharashtrians. The cast was just bang on. Khedekar's performance created a great impact. It made us wake up & think about the on-goings in our state (Hope someday everyone wakes up & works towards helping our city get out of real trouble). Suchitra Bandekar was a delight to watch. Mahesh Manjrekar as Shivaji Maharaj was good & so was Makarand Anaspure as his Mawla. Dunno how Mahesh Manjrekar managed to come with such a fantastic,original story. The title track "Hey raje" was a hit. The dialogues (Sanjay Pawar, Mahesh Majrekar) added a lot of impact as well. If dramatic films with a touch of History are your thing, then THIS ONE IS A MUST WATCH! There you go! 10 marathi films that stood out for me. Here's a list of some more brilliant films that also deserve a special mention. Must Watch because - A heart warming,emotional story of a family and their usual problems. Must watch because - it has a brilliant message. You should never underestimate any individual's talent. The movie has some amazing dialogues & the story is fresh & original. Must watch because - This movie changed the face of marathi films. Part of the 'social' genre. Sandeep Kulkarni's performance was outstanding. Nishikant Kamat later directed the Hindi film Mumbai Meri Jaan. So what are you waiting for? Grab a DVD/VCD or a Blu Ray of these wonderful movies and Watch them now! i wonder how golmaal could make it into the list! pathetic it is. The slapstick comedy was worth a watch. Nice List!! Except Golmaal, I have watched them all. But I wonder why Deool is not part of your List. Deool is as good as Natrang!! Girish Kulkarni got a National Award for his acting in this movie. Watch out for him in Anuarag Kyashap's Ugly!! Of course, I know! There are many more films that I would like to add. A third part in this series should be on its way soon. Valu will be a good addition to the list. Thank you so much for the heads up, Anubhav! My mistake. Always get confused between the two.